The BP Gulf oil spill is a tragedy and my heart goes out to those who are affected. If you want to know how big the Gulf Oil Spill is, there is a Google Maps mashup called If It was my Home. 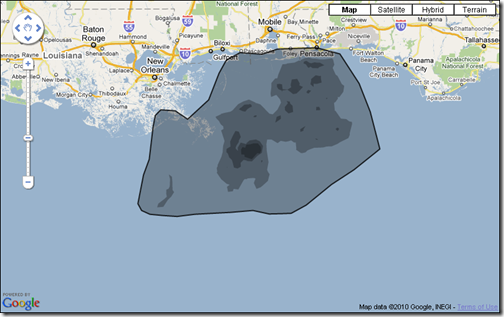 This Google Maps mashup lets you move the Deepwater Horizon oil rig from the Gulf of Mexico to any other place on Earth. It uses the oil spill data from NOAA and is updated every day. This really is a great idea as it helps on visualize what it would be like if this oil spill had happened in their door step. It helps us imagine the unimaginable. You can go to If It was My Home to see the extent of this oil spill if it had happened near your city. Share this with your friends to raise awareness of this tragic event.